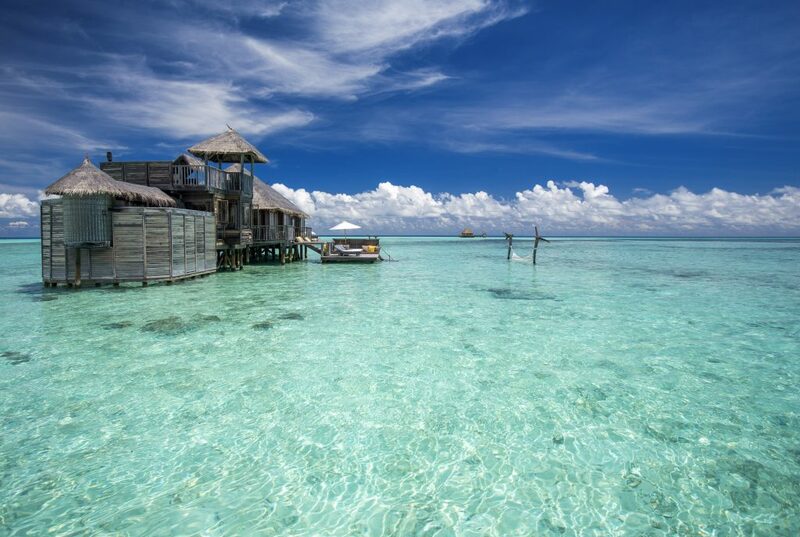 The scenery at Gili Lankanfushi is breathtaking. 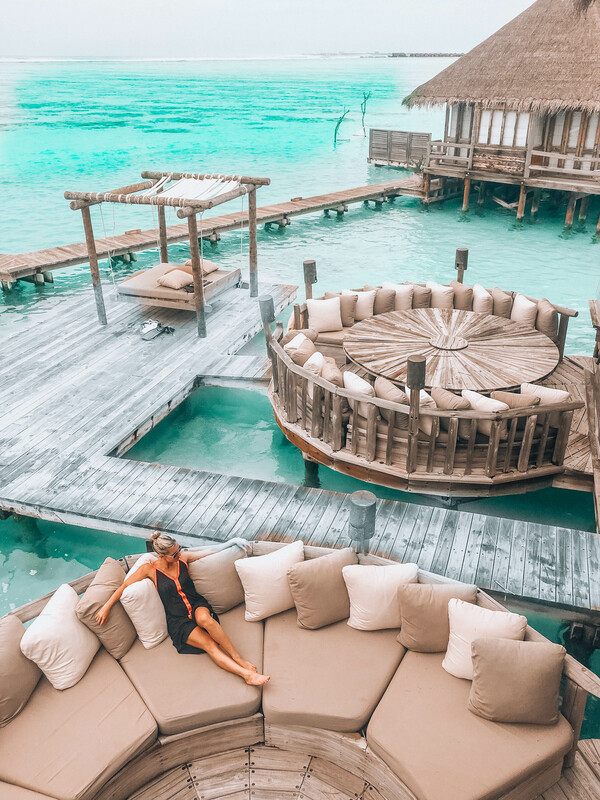 It is made up for powder white beaches, lush tropical palm trees and plants, an assortment of water colours ranging from clear to deep turqouise and overwater huts that sprawl out on various jetties. It is a true version of paradise. I would honestly be surprised if heaven was nicer than this! If you are feeling something a bit different they have a Japanese fusion restaurant. The restaurant is perched up in a tree house like building where you sit cross legged while munching on the FRESHEST sushi and sashimi. 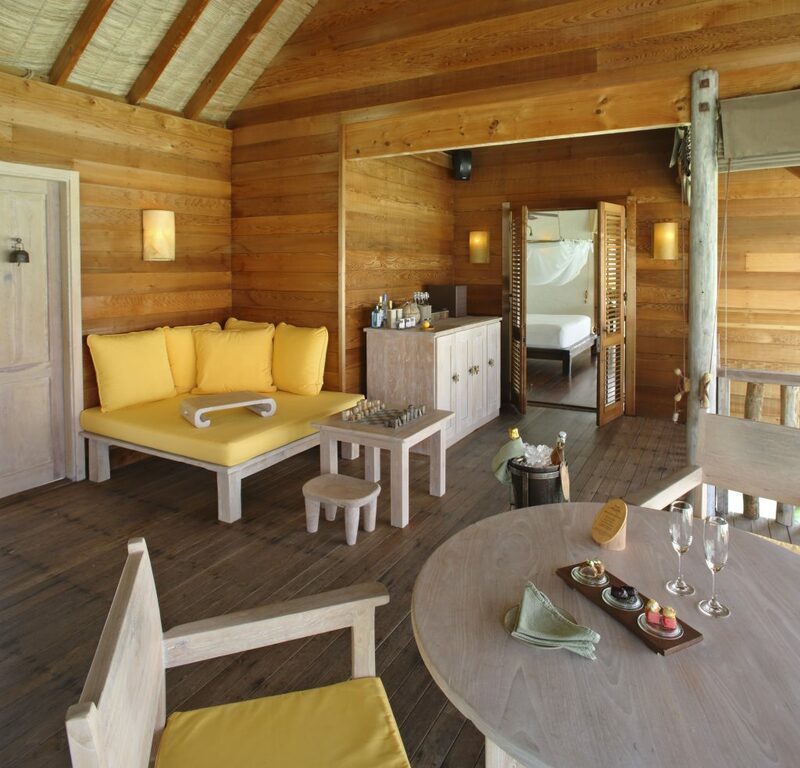 They also offer private dining options though out the whole island which we were lucky enough to experience! 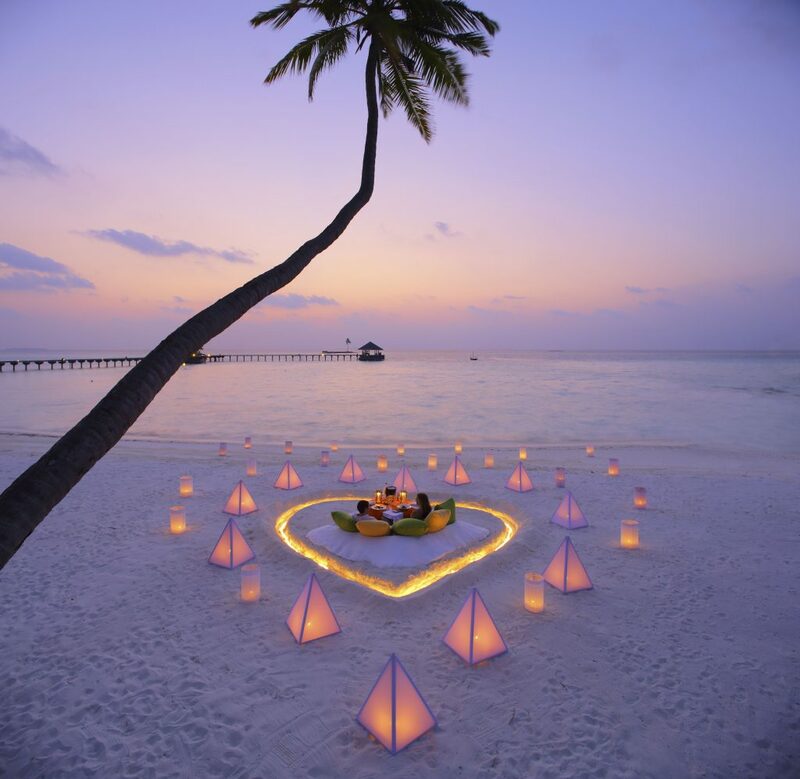 We were whisked away to a tiny corner of the island where we ate a moonlit feast on a secluded sandbar, surrounded by hundreds of glowing lanterns. It was magic. The Chef sets up shop right by you so you literally see your Lobster being grilled to perfection next to you. The photo above is what it looks like!!! There is honestly just so many nooks and crannies to hang out at this island that we spent one day riding our bikes around and setting up shop at different places. 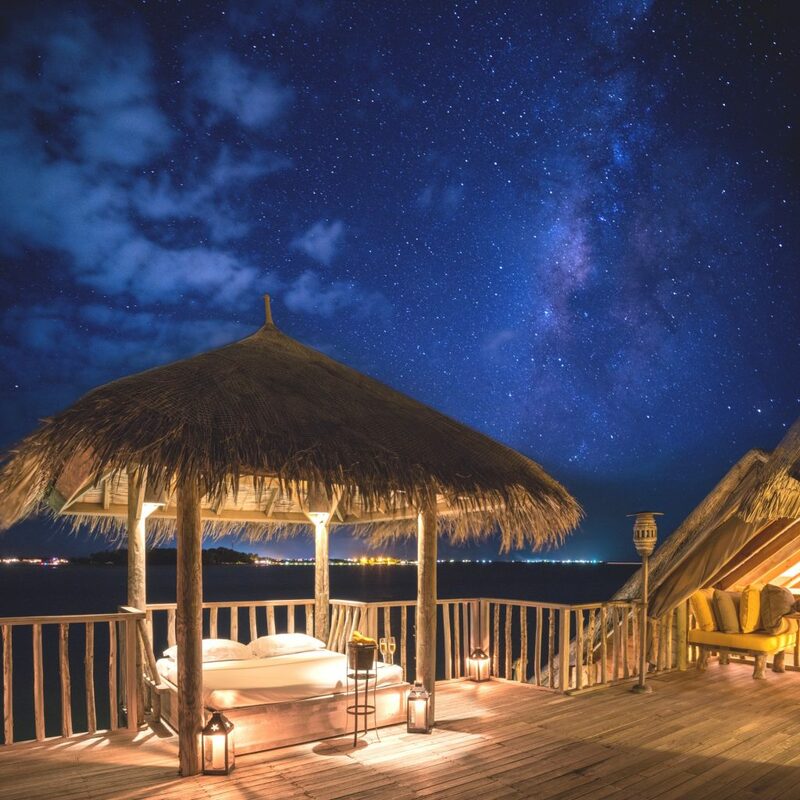 The room at Gili’s are among some of the largest in all of the Maldives. There is 3 different jetties that make up the 44 suites it has! Some of these suites are only accessible y boat and are slightly larger! Regardless of what suite you get, you are guaranteed this: HUGE, airy living rooms ( half of which is enclosed and the other half open), massive bathrooms (with his and her sinks, closet space, glass floor inserts and an outdoor path leading to a shower), and bedrooms that have the comfiest linen and pillows you will ever experience. Even though the rooms are all natural looking, you will have all the modern amenities such as Satellite music, DVD players, TVs and fans. With over 2000 square feet to yourselves, it is EASY to feel like you live there after a day. They are that amazing. The only downfall is that you almost don’t want to leave your room!!! 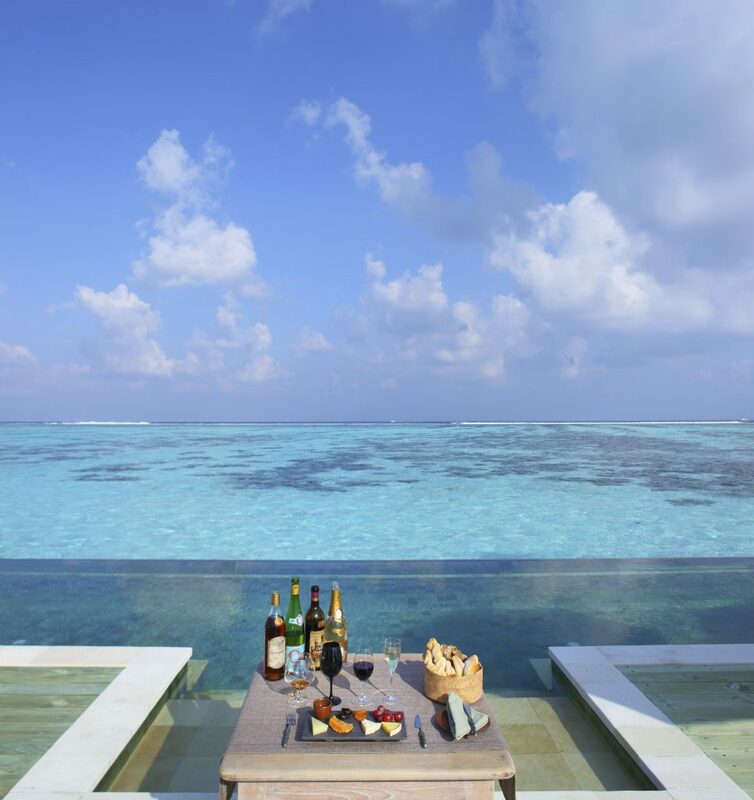 We spent the few afternoons lounging on our private sundeck and made sure we got out onto the resort in the morning. If we didn’t do it first thing in the morning, we would have never left our room! 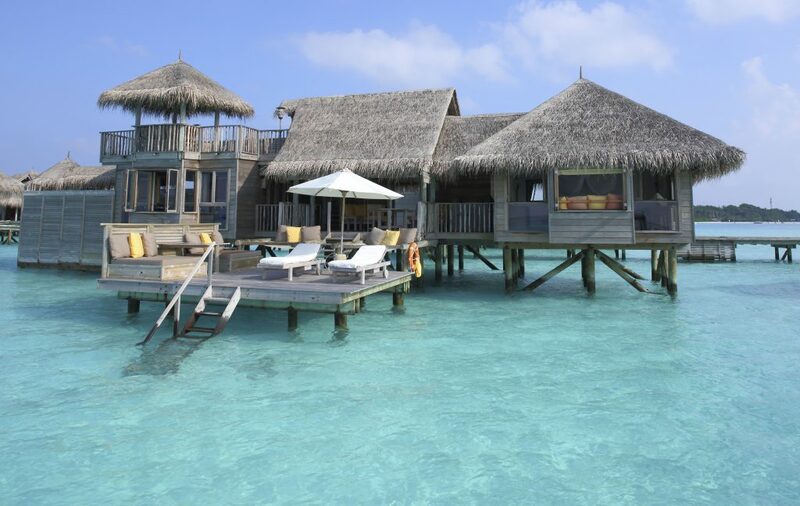 If you really want to BALL out, Gili Lankanfushi has the LARGEST OVERWATER VILLA IN THE WORLD called “The Private Preserve”. Pictured above. 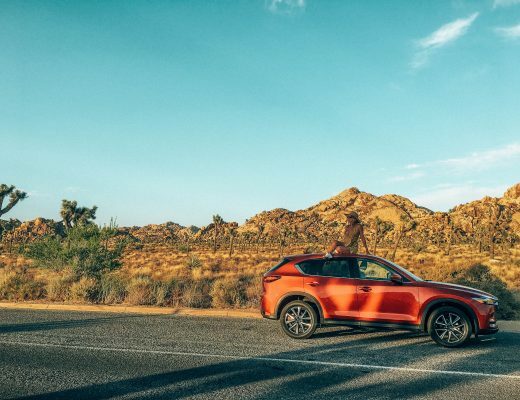 It will set you back at $14,000 a night but with multiple bedrooms, a private kitchen, spa, WATERSLIDE, private infinity pool and more- you could quite possibly fit a small town in there and split it! Ha! 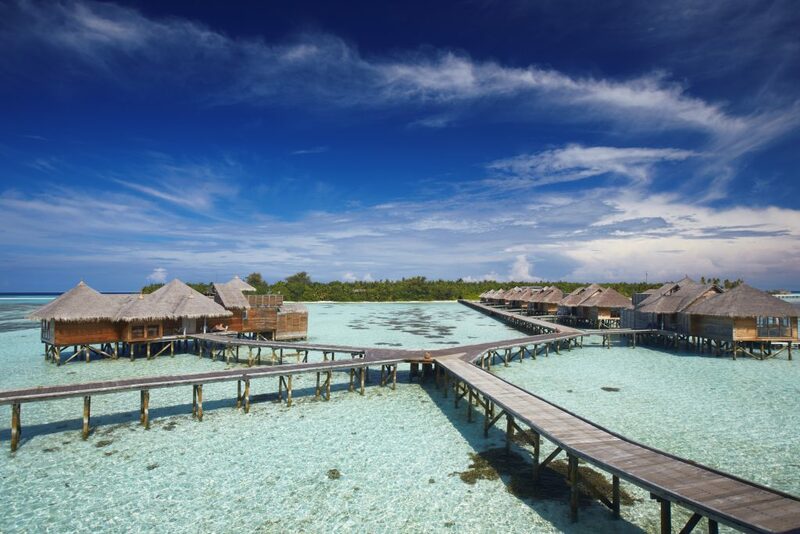 The spa is perched off a private jetty far removed from the main action of the resort. 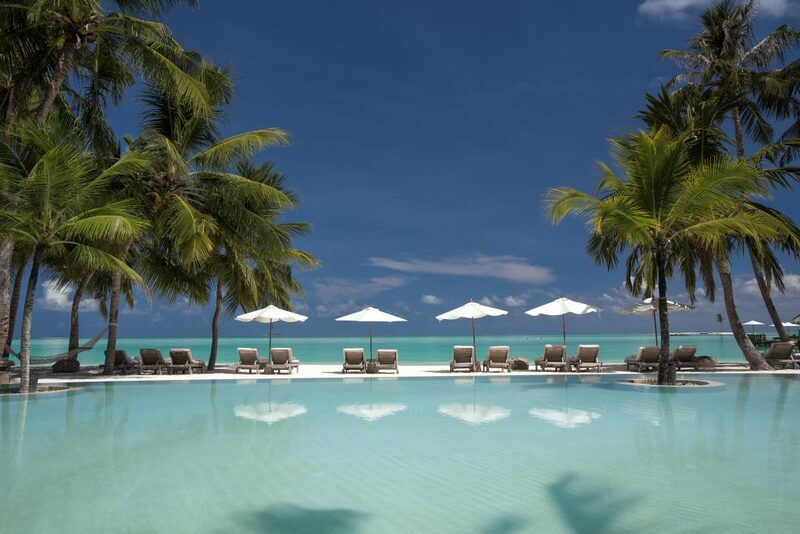 It offers holistic treatments meant for you to hit the ultimate level of relaxation. We used the steam room everyday when we were there and then sat on the 2nd level of the spa drinking some cucumber water. It was pure bliss! 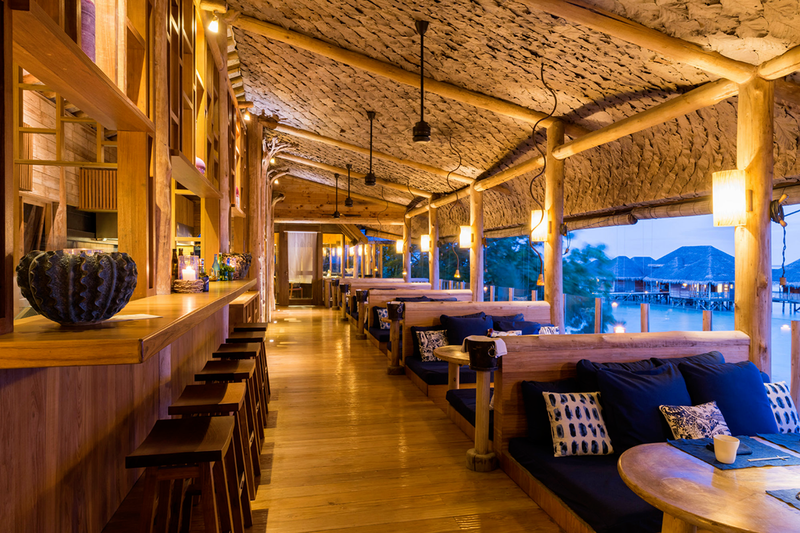 Gili offers unique dining experiences around the island. As mentioned above, we chose to do a private dinner on the island with a private chef! It was something we will never forget. 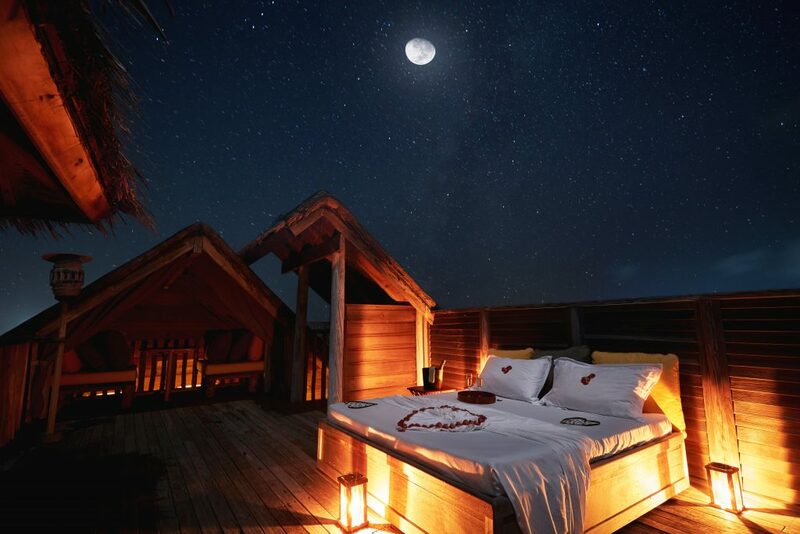 They have soo many unique options to choose from though and if we end up going back, I am forsure going to pick the option of having dinner in your own villa’s rooftop deck where you can even finish the night by sleeping out there!! Is this not out of a movie? If you ask you can get a tour of the garden where they grow so much of the food and herbs that they cook with. 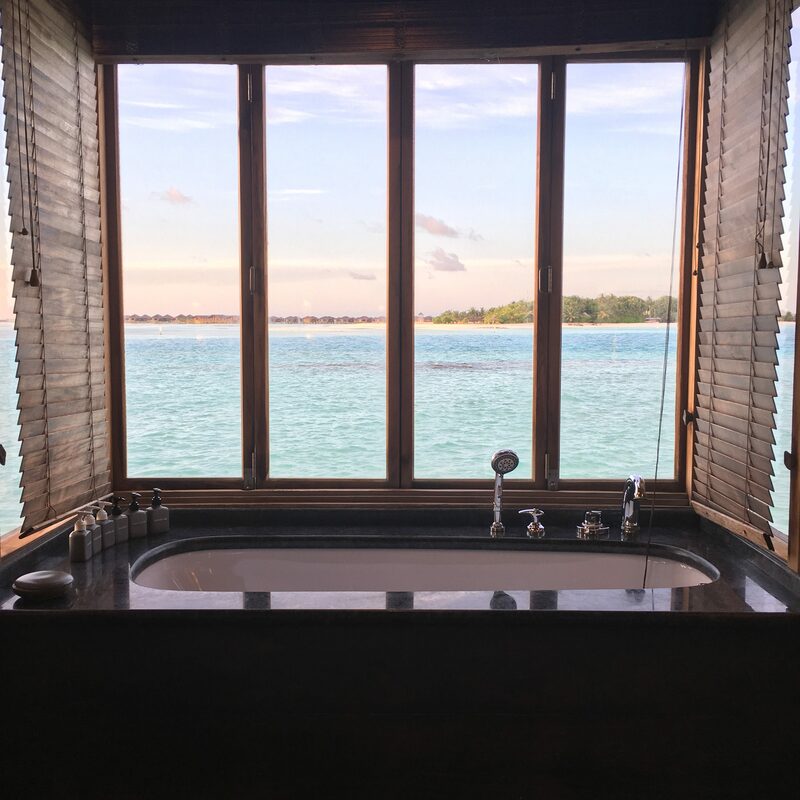 We loved checking this out because it really is reflective of what Gili is about- using local materials, foods and supplies that is found on the island itself. Knowing you are eating fresh food that is grown right in the backyard makes the already delicious meals even MORE delicious! Do not ask questions- JUST DO THIS. 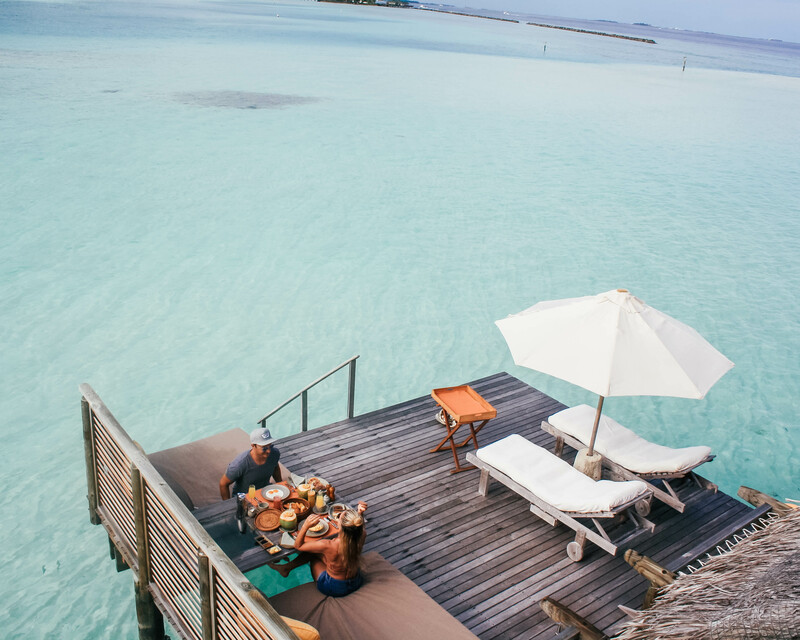 I have dined at the fancy Nobu, had sushi in Tokyo and have tried some legitimate sushi places when I lived in LA and they all did not remotely compare to the sushi at Gili Lankanfushi. To add to the delicious food, the atmosphere and setting of the restaurant was out of this world and made us feel like we were eating in the most exotic treefort. You can very easily see stingrays, yellow exotic fish and more just from looking over your balcony but it is an entirely different world when you are underworld and see all the amazing coral that goes along with it! Snorkel gear is given to you upon arrival and your Mr. Friday will guide you to the best spots on the island to really see the best fish!